We are now hiring long-term employees! Please apply today and join our awesome staff! Starting September 4th, these will be the shops new hours! We look forward to seeing you soon! IT'S FINALLY SUMMER! TIME FOR SWIMMING, GRILLING AND WALKS IN THE PARK. ALONG WITH THIS WARM WEATHER, WE ARE EXCITED TO SHARE OUR NEW MENU WITH YOU! TRY OUR LIGHT & DELICIOUS NEW SUMMER WRAP! ~ GRILLED CHICKEN, PROVOLONE CHEESE, BACON, BABY SPINACH & AVOCADO RANCH WRAPPED IN A SUN-DRIED TOMATO BASIL TORTILLA. PERFECT FOR DINING IN OR ON THE GO! & THE AFFOGATO IS BACK! NOW SERVING THROUGHOUT THE SUMMER SEASON! COME TRY THEM BEFORE THEY'RE GONE!! Strawberry Dream will soothe away your stress and immerse you in a cloud made of sweet crème and strawberries. Try it as a latte or as a frozen blended crème (tastes just like a strawberry milkshake!). Let the waves of Island Mocha wash away your worries. Imagine yourself on a beach, sipping from a coconut, sun shining. One sip of tropical coconut and rich chocolate mocha will transport you to paradise! 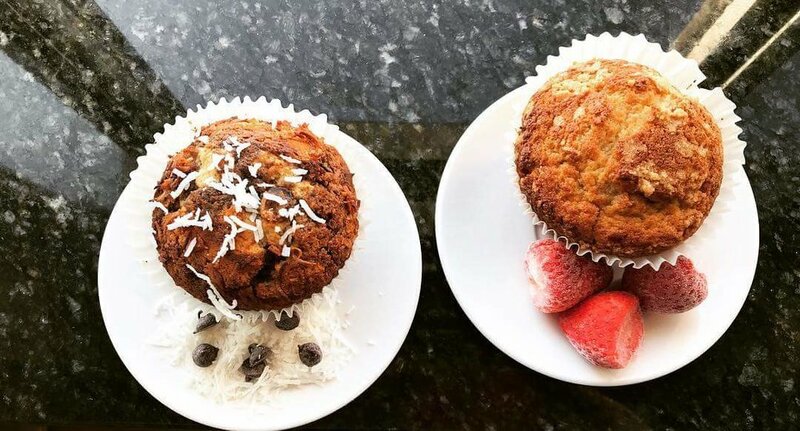 Pair your drink with a fresh bakes strawberries and crème muffin or coconut almond chip muffin! Nothing cheers me up more in these cold winter months than warm, soothing peppermint. 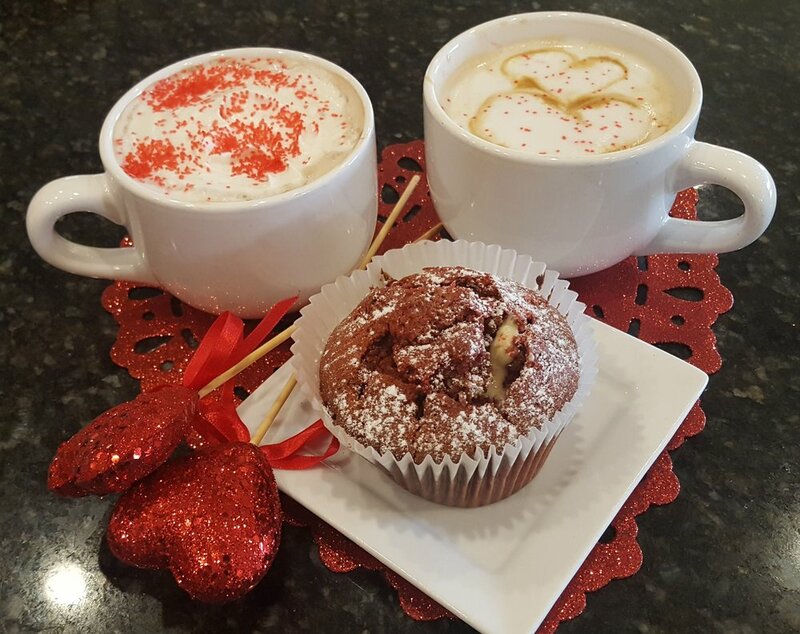 Pepper Park Coffee's perfect Peppermint Bark Latte! Feeling something a little more chocolatey & caffeine free for later in the evening? We got you covered there too. 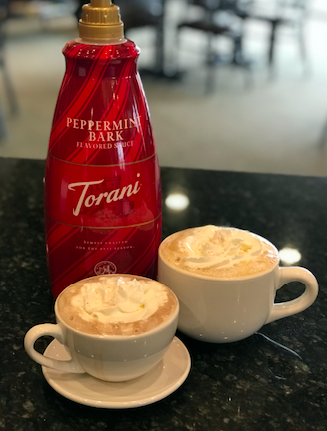 Our Peppermint Hot Cocoa will make you feel like your cuddled up in a warm blanket next to a fireplace. And don't think we forgot about you, Peppermint Mocha Lovers! Feel Invincible this New Year! Trying to lose weight for your New Years resolution, or just wanting to try something new & healthy? Make your coffee or tea "Invincible" with our house-made nutrition packed pods! 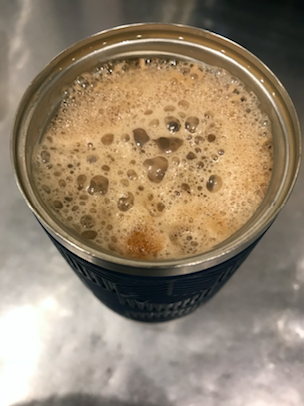 Drinking Invincible coffee is a great way to start your day with healthy fats & omegas that provide energy, supports good cognitive & hormonal function & keeps you full until lunch! Come in today to try this delicious, healthy breakfast alternative for only an additional $2 on top of your drink of choice & feel Invincible all day!! INVINCIBLE PODS; JUST ADD & BLEND! - BAGGED, FRESH TEAS AND COFFEES however you like it, ground on-the-spot for the best quality, flavor, & freshness that you & your family deserve (because we wouldn't serve you anything less than perfect) Price varies. AND EVEN MORE! Come in to check it out! And don't forget- for every $50 in gift cards you spend, get $10 back for YOU! Offer only lasts through 2017!